If there’s any country in East Asia you need to explore in your lifetime, it’s Japan. Whether you’re hunting for temples among cherry-blossom-lined streets in Kyoto, slurping on ramen in a narrow Tokyo alleyway or soaking away all your stress in a traditional onsen among fine alpine views, finding a more intriguing place than the Land of the Rising Sun is next to impossible. Japan is both everything and nothing as you expect it to be. Roaming through the neon-flooded avenues of Osaka or Tokyo or awakening your spirits at a Kyoto temple quickly proves that the stereotypes you’ve always dream about aren’t so far off. But it’s in the less obvious moments that’ll you truly fall in love with this country. Carve down perfect pistes in Hokkaido’s Niseko, ply through the mystical bamboo forests of Arashiyama or get entranced by the snow-dusted roofs in the fairytale village of Shirakawa-go, and you’ll see why Japan comes out on top among travellers of all persuasions. Not sure how to start planning your trip to Japan? 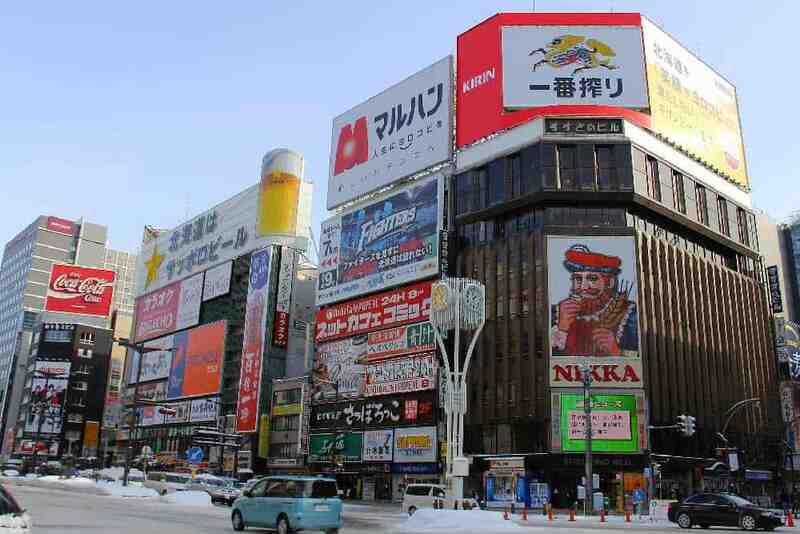 Get started with this Japan travel guide! Like much of the northern part of East Asia, Japan is blessed with a four-season climate. Like most things in Japan though, simply knowing that isn’t so useful in figuring out the best time to visit Japan! In general, winters in Japan are cold while summers are hot and humid. Although the summer months see the lion’s share of tourists, it’s not necessarily a great time of year to travel here. Summer in Japan brings loads of rain throughout the country with the monsoons rolling in around August to late September. 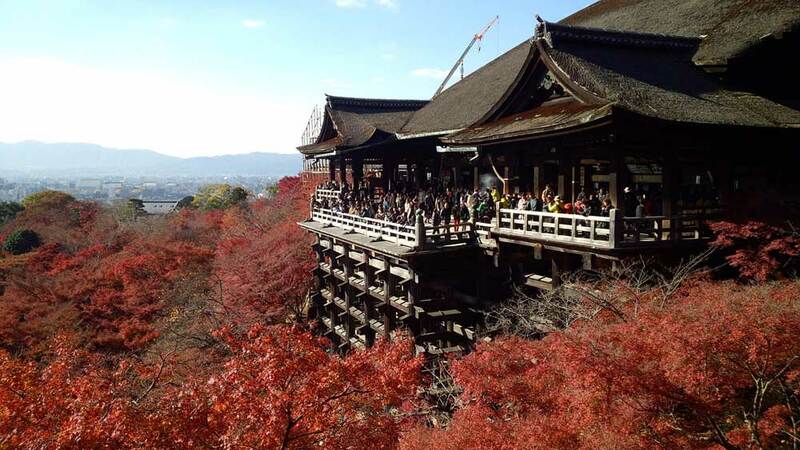 For many of the top destinations in Japan including Kyoto, Tokyo and Osaka, the best time to go is in spring or fall. Aiming for late March to early April will put you into the height of cherry blossom season throughout much of Kyushu (it’s a little later in the more northern reaches of the country) where you’ll witness Japan at its most beautiful. The autumn months are equally beguiling as the fall colours swoop in and paint the country in incredible crimson and golden shades. As much as I’d love to grant you a definitive answer for planning the ultimate Japan itinerary, in a country with such immense breadth and diversity it’s not so easy. Fortunately, sticking to the basics in Japan often proves ridiculously fulfilling. Visiting even just a few of these best places to visit in Japan will send you home with a deeper appreciation of the country, and keep you on the edge of your seat waiting to plan your next trip to continue exploring! If you’re anything like most travellers, I can almost guarantee that the thought of visiting Hiroshima has yet to cross your mind. Unlike other Japanese cities that charm visitors with ancient temples & shrines, Hiroshima is (in)famous for something a little different: being the first city in the world to experience an atomic bomb attack. Despite getting reduced to rubble in 1945, Hiroshima’s come back in a big way. It’s as vibrant an urban environment as any in Japan, chock-loaded with superb restaurants and a infectious joie-de-vivre. 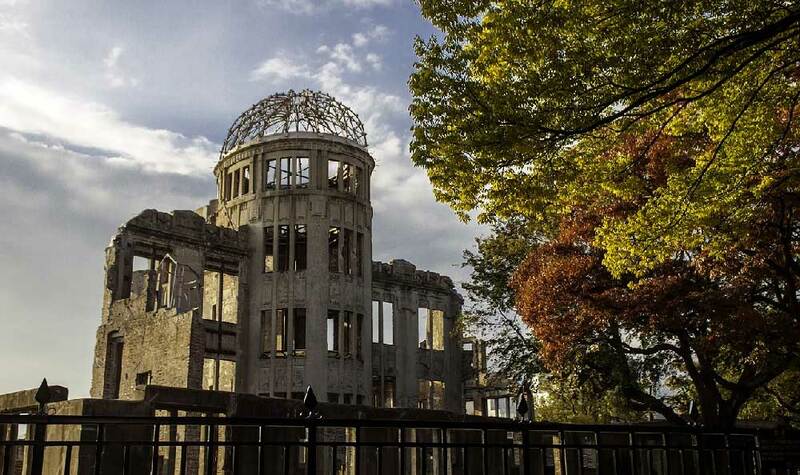 Although “atom-bomb tourism” still runs deep as visitor filter through to top sites like Peace Memorial Park and the Atomic Bomb Dome, the best experiences in Hiroshima might just be giving yourself a couple days to let the city get under your skin. No Japanese city captivates like the former imperial capital of Kyoto. Over two thousands temples and shrines dot the landscape in and around Kyoto creating a cornucopia of Japanese history and culture that could seemingly take an entire lifetime to discover. Even beyond the obvious cultural treasures, Kyoto is simply a magical place to visit. Sipping tea on the atmospheric streets of Higashiyama, eating kaiseki among cherry trees in Gion, or strolling through the otherworldly bamboo grove at Arashiyama should prove that Kyoto is not a just a great Japanese travel destination, but a great one period. Nary a lifetime should pass without the experience of enjoying Kyoto at least once. If you’ve got any interest in Japanese history (you wouldn’t likely be here if you didn’t! 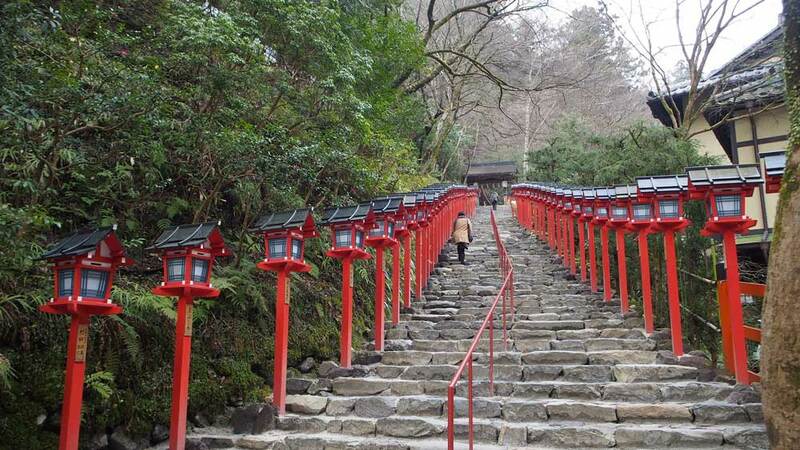 ), then be sure to add Nara onto your list of must-see places in Japan. As the country’s first permanent capital, Nara holds some of Japan’s most prized cultural possessions, rivalled perhaps only by Kyoto in its glorious historical underpinnings. Like in Kyoto, ancient temples & shrines are scattered around Nara ranging from Todai-ji Temple, home to a famous 15-metre-high bronzed Buddha statue, to the magical Kasuga-Taisha Shrine whose network of network of lantern-lined paths and moss-covered stones can enlighten even the fussiest of travellers. Perhaps even more famous in Nara, though, is the city’s rampant deer population. The centrepiece of the city, Nara Park, is home to thousands of free-roaming deer who prance between its temples & shrines with ease to create a majestic & unforgettable experience to tack onto your trip. Outside of Japan’s trifecta of top cities, there’s a hardly a destination more worthy of a visit than Nikko. Located just a few hours from Tokyo, this popular mountain retreat dazzles travellers with incredible alpine scenery that hides some of Japan’s most mystical temples & shrines. 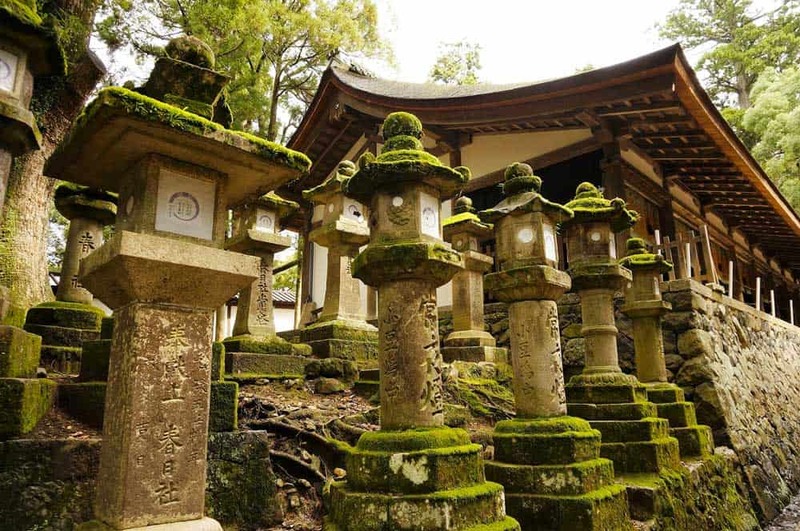 Nikko’s expansive UNESCO World Heritage area encompasses over 100 buildings nestled seamlessly into the mountainscapes as if sprouted directly from them. The three main shrines & temples here—Toshogu Shrine, Rinnoji Temple & Futarasan Shrine—are among Japan’s finest and deserve quiet contemplation and time to fully absorb their glory. 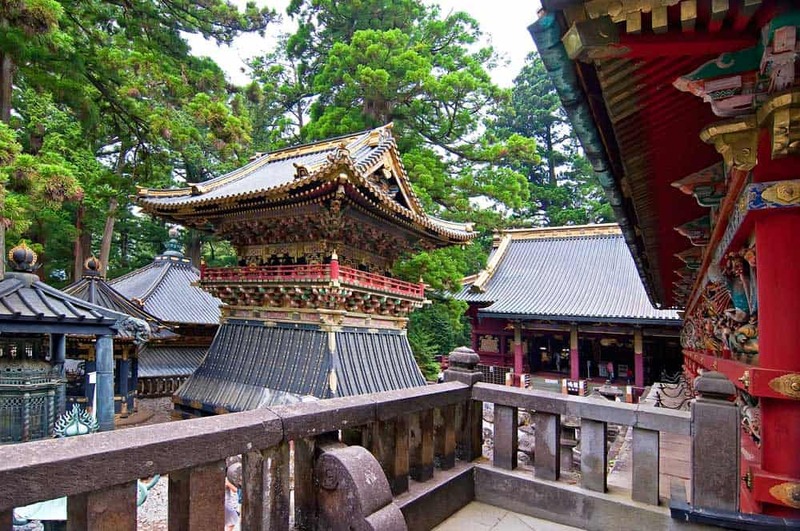 Besides its religious underpinnings, Nikko is home to a wealth of natural attractions. Waterfalls like Kegon & Ryuzu compete with other stunners like Mount Nantai & Lake Chuzenji for your attention. When relaxation, rather than active travels, is on the agenda, the Nikko area also features some famous hot springs towns like Yumoto Onsen and Kinugawa Onsen that are built for soaking your cares and stressors away. 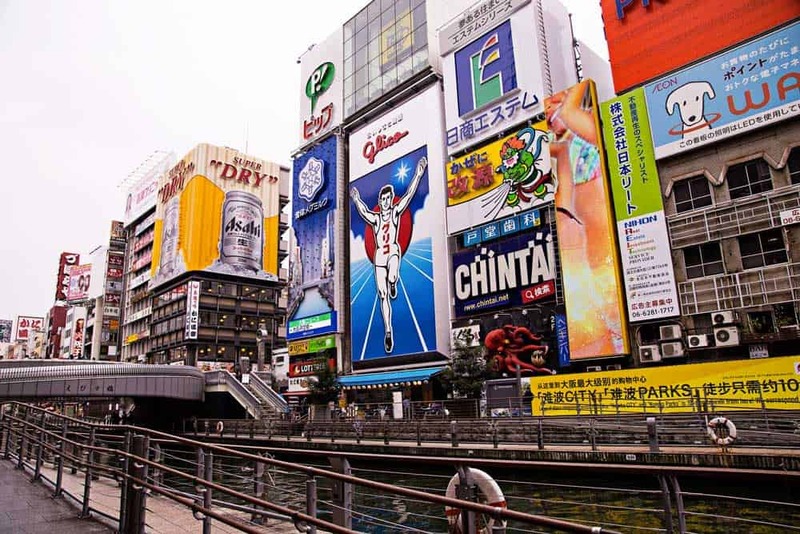 It’s unlikely you’ll feel an immediate kinship with Osaka, the second biggest city in Japan. Unlike Kyoto, a city who wears its charms on its sleeve, getting to know and enjoy Osaka won’t be so instant. At the surface, you’ll probably instantly be let down by Osaka’s colourless and drab architecture. And it’s not exactly shocking: Most of Osaka was destroyed during World War II, and purposefully rebuilt with more attention to function and speed than aesthetics. Hitting the streets of Osaka though, you’ll feel a different pulse. You’ll soon find that Osaka is as lively as cities come. Simply walking among the neon-flooded canal among the hordes in Dotonbori confirms that the city’s faceless façade is just that. What’s most appealing about Osaka, however, is its penchant for warming your heart via your stomach. This is a city that takes its food seriously. Some of Japan’s best culinary experiences await in both Osaka’s restaurants and on its streets whether you’re looking to try the city’s claim-to-fame soul food okonomiyaki or other Japanese classics like tonkotsu ramen or udon. Little known outside of Japan, Otaru is one of the northernly island of Hokkaido’s most popular places to visit. This lovely fishing town sweeps you back to the turn-of-the-century when the Japanese first colonized & developed the island. 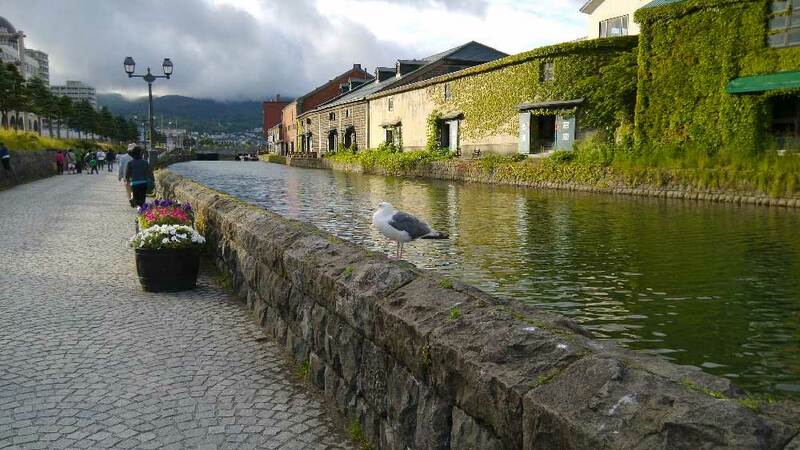 As you walk around Otaru, particularly along its namesake canal, it’s not hard to get a sense of Hokkaido’s humble beginnings. Many of the early-20th-century warehouses and shipping company offices along the canal have been converted to restaurants & art galleries while still maintaining a firm grip on the town’s history. Although Otaru’s a wonderful destination year-round, travellers will become particularly enchanted with the Hokkaidan town during the Otaru Snow Light Path Festival. This popular ten-day winter festival, held annually in February, sees the town bursting with snow sculptures and lights to create an inviting atmosphere that’s warm up your soul during the chilly Hokkaido winter. Few travellers stick around Japan long enough to carve out time for Sapporo, the fifth-largest city in Japan and the capital of its most northerly island of Hokkaido. With just a century and a half under its belt, Sapporo doesn’t boast the long ancient history of other Japanese cities, but it’s no less fascinating in spite of it as a trip here will quickly uncover. Like any big city in Japan, Sapporo is serious about its food & drink. The culinary pleasures here are plentiful, none more justifiably famous than the city’s famous miso ramen. Sapporo also gave birth to Japan’s beer industry with its namesake brew still staking claim among the world’s most recognizable brands. Besides all the treats within the city itself, Sapporo sits in the backyard of Hokkaido’s true calling: its hot springs & mountains. When the non-stop urban buzz finally runs you down, relaxation & quieter days are but a quick train ride away. 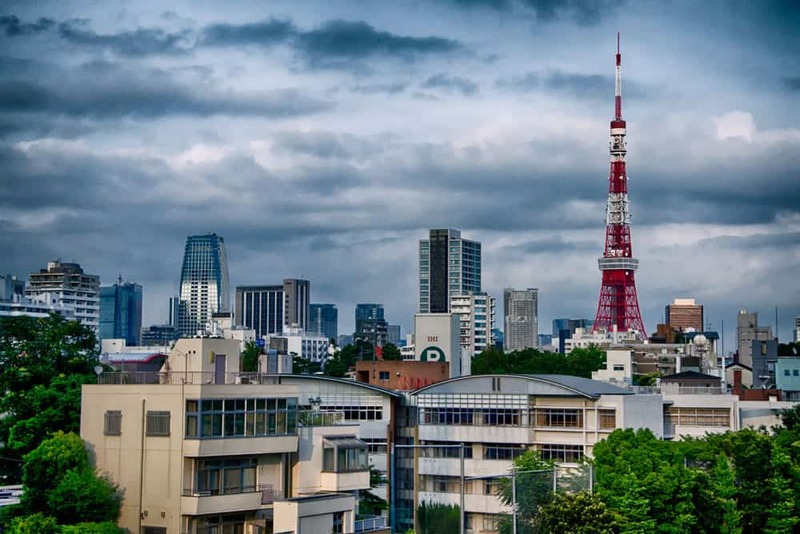 Truly one of the world’s most fascinating cities, Tokyo is bound to leave an impression. Whether it’ll be good or bad, I can’t tell you with certainty. Love it or hate it, the raging pulse of Tokyo is something that every traveller needs to experience at least once in their lifetime. For anyone not enthralled by hyper-urbanism, Tokyo might not instantly knock your socks off. The city represents chaos at its finest. Crammed subways, traffic jams, and never-ending streams of passer-bys are a way of life here. It’s hardly in such moments you’ll truly come to appreciate Tokyo. Instead, dabble in the city’s finer pleasures—whether it’s nibbling on yakitori in Yurakucho, enjoying a picnic in Shinjuku Gyoen or strolling among towering evergreens at Meiji Shrine—before you pass judgement. You might just surprise yourself when you discover a city that’s both everything and nothing like you expected it to be. There’s hardly a more varied cuisine on the planet than Japanese. 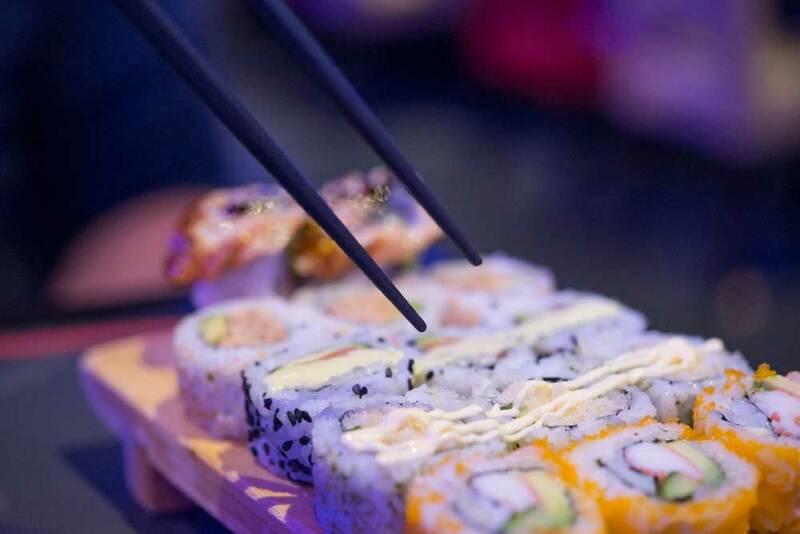 As much as we’ve come to associate Japan with its most famous culinary export, sushi, seafood detesters will breathe easy when they discover that there’s far more to Japanese cuisine than first meets the eye. Yakitori: Tasty skewers of grilled chicken and vegetables that are often served as a snack alongside beer and sake drinking sessions. Ramen: Although originally from China, Japanese ramen is among the tastiest in the world. Among the most popular varieties is tonkotsu ramen, topped with fried pork cutlet and served with delicious rich broth. Tempura: Lightly battered and deep-fried portions of seafood and vegetables. Soba: Thin buckwheat noodles usually served in a warm broth. Shabu-shabu: Thin slices of beef cooked in a hot broth at the table. Taste shabu-shabu at its most refined with beautifully marbled wagyu beef from Kobe. Okonomiyaki: A savoury pancake filled with a variety of ingredients, often pork and cabbage. IN the popular Osaka style, there’s usually topped with ingredients like seaweed, bonito flakes, pickled ginger, and mayo. Most international visitors enter Japan through Tokyo’s Narita International Airport (NRT) or Osaka’s Kansai International Airport (KIX). Several airlines fly to Japan from North America, Europe, and Australia including All Nippon Airways (ANA), Japan Airlines, JetStar and United. Looking for cheap flights to Japan? Check out fares on Skyscanner. There’s no doubt that Japan has one of the best developed transportation systems in the world. It’s fast, efficient, and well-organized making it easy for travellers to get from point A to point B. By train: One of the must have experiences in Japan is to travel by shinkansen (bullet train). 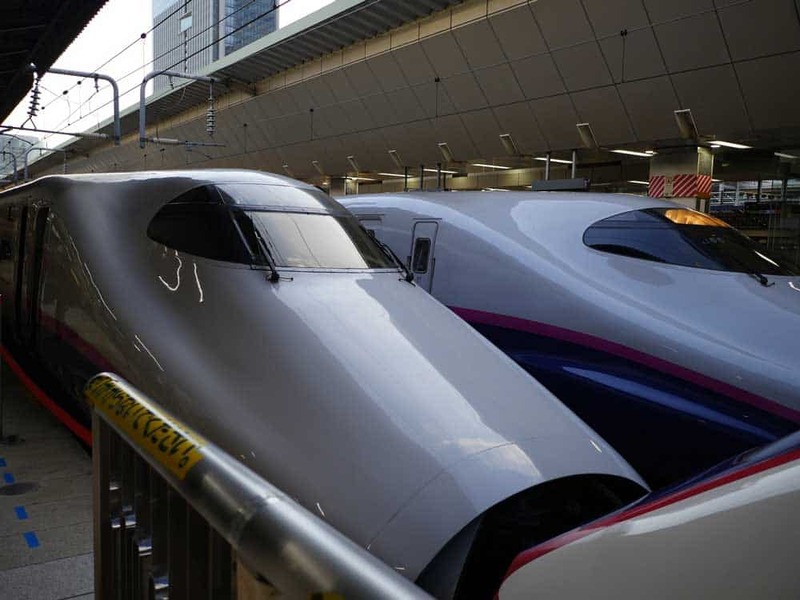 These state-of-the-art trains are a modern wonder, and are the quickest, most convenient, and most comfortable way to travel between Japanese cities. They’re also, as you’d imagine, quite expensive. If you’re planning to use the train system extensively in Japan it’s probably not a bad idea to invest in a Japan Rail Pass available in 7-day, 14-day and 21-day varieties. Slower non-shinkansen trains are cheaper and generally still reasonably fast. By bus: There’s also an excellent network of buses operating throughout Japan. If your travel budget is tight, bus travel is a good option to counter expensive long-distance bullet trains. As expected though, buses are far slower and less comfortable than the trains. They are, however, sometimes the only option to reach more off-beat destinations.